The Greens NSW mining spokesperson Jeremy Buckingham today said the admission from a federal government source to the ABC that the Shenhua Watermark coal mine was “unlikely” to go ahead and the expiration of the exploration licence on Monday, provided the opportunity for the NSW Government to provide farmers on the Liverpool Plains with certainty by giving the Chinese mining company its money back and cancelling the licence forever. “The admission that the Shenhua Watermark coal mine is “unlikely” to go ahead highlights the need for the Premier Mike Baird to act to end the shambles and provide certainty to farmers,” said Greens MP Jeremy Buckingham. 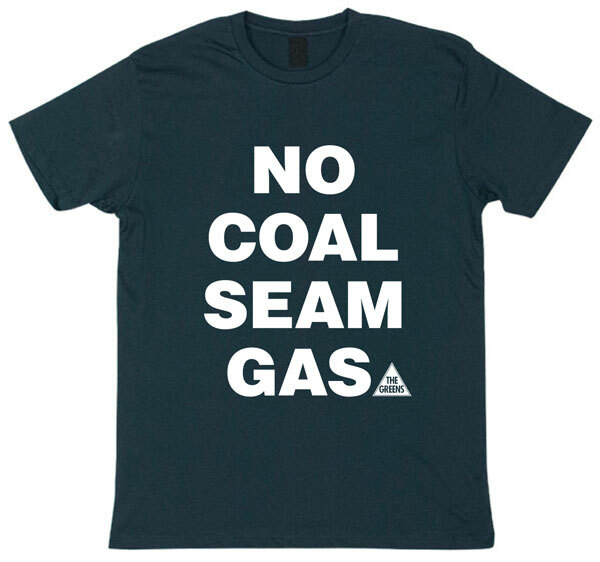 “The Shenhua Watermark coal mine makes no sense in the current commodities market and has virtually no support to go ahead. Premier Mike Baird should end the uncertainty, can the mine and negotiate the return of the $300 million the company paid the NSW Government for the exploration licence. “The NSW Government should establish and reveal whether the Chinese Government moratorium on new coal mines applies to the Shenhua Watermark coal mine? “Why should the fertile Liverpool Plains be damaged for a giant new coal mine when a decline in demand and the massive glut of coal on the world market has caused the suspension of new coal mines in China itself? The Greens NSW mining and agriculture spokesperson Jeremy Buckingham today said he hoped that Premier Mike Baird would heed the official call of the NSW Legislative Council, which today unanimously passed a motion calling on the Premier to meet with the Liverpool Plains Youth association when he visits Tamworth next Friday. when he visits Tamworth so that they can discuss the impacts that the Shenhua Watermark and BHP Caroona coal mines will have on the future of the Liverpool Plains if they are built. That this House calls on the Premier to meet with the Liverpool Plains Youth and listen to their concerns. 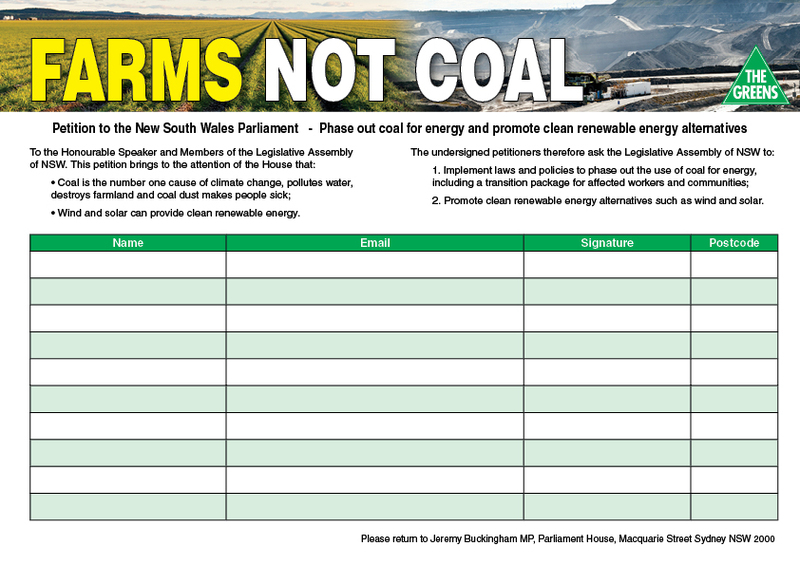 “The Liverpool Plains Youth have been doing a fantastic job in raising awareness about the importance of the region and agriculture, and advocating to protect the land and water from new coal mines,” said Greens MP Jeremy Buckingham. “These young people will hopefully still be farming the Liverpool Plains long after any mines have been wound up and long after the world has weaned itself off coal and onto renewable energy. The Greens NSW mining spokesperson Jeremy Buckingham today called on the government to come clean about their negotiations with the Chinese government owned Shenhua coal mining company after answers to Budget Estimates questions on notice revealed that the $200 million success fee was being renegotiated. Infamous former mining minister Ian Macdonald, accepted a $300 million success payment to the government for the Shenhua Watermark exploration licence, to be followed by a $200 million success payment to the government on grant of the mining licence. It is this last payment that is currently being renegotiated. “The Shenhua coal mine in the heart of the fertile Liverpool Plains is an issue of national significance. The NSW government should reveal exactly what they have promised Shenhua, and whether they are negotiating to facilitate the mine or to protect the Liverpool Plains,” said Greens MP Jeremy Buckingham. 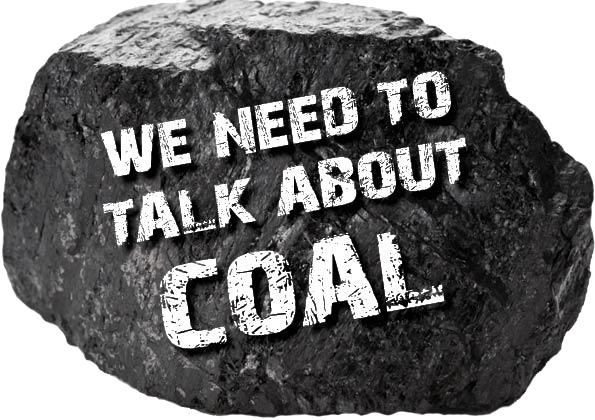 “Most credible economists conclude that building the greenfield Shenhua Watermark coal mine does not make sense financially in the current global coal market and at current coal prices. 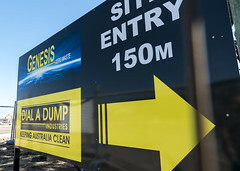 “It would be treacherous for the NSW government to now renegotiate the $200 million fee to help facilitate the construction of a mine that is already a dubious financial prospect. It would mean an exploration licence is not worth the paper it is written on if it can be changed at a whim to suit the mining company. “The community has long been concerned that these very large payments to governments impact on the assessment process and create an inherent conflict of interest – and that’s putting it politely. “Minister Roberts should make it clear to the public exactly what the NSW government is hoping to achieve in these negotiations,” Mr Buckingham said. The Greens NSW mining spokesperson Jeremy Buckingham today will join Liverpool Plains farmers on a convoy of tractors driving from Gunnedah to Breeza, to protest the Shenhua Watermark coal mine proposed for the fertile agricultural area. 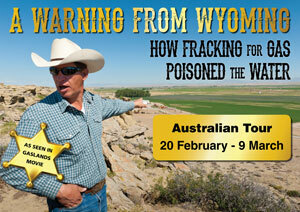 Mr Buckingham has spent the week at AgQuip in Gunnedah where the mood is firmly against coal and coal seam gas. The tractor convoy leaves Gunnedah at 1pm and will drive to the Breeza Hall for a BBQ. “The Greens are standing shoulder to shoulder with the community of the Liverpool Plains to oppose the Shenhua coal mine and I’m proud to join this tractor convoy as an expression of determination that people power will stop this mine, if governments fail,” said Greens MP Jeremy Buckingham. “I’ve spent the past few days at the AgQuip festival and I can tell you that farmers from all over NSW are dead-set opposed to mining in good agricultural areas. 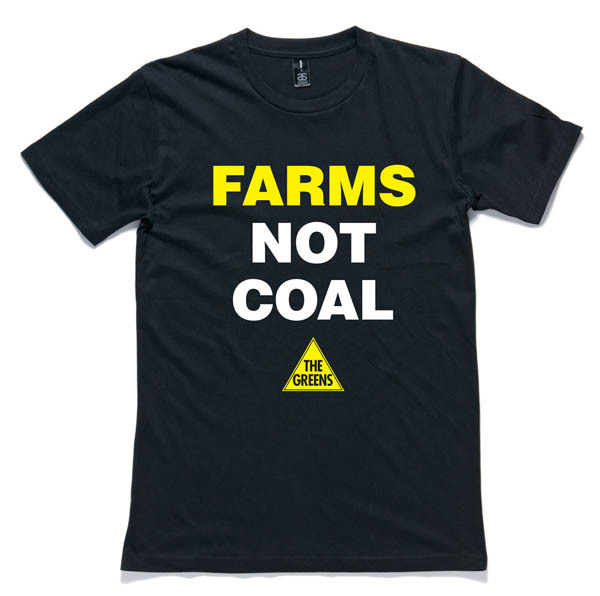 “We’ve given away many thousands of ‘Farms Not Coal’ stickers, which will be soon be appearing on utes, trucks and cars around the state. “There is a steely determination among the community that this Shenhua mine must not go ahead. If they try to build this mine it will be the Farmers’ Franklin, with thousands of people willing to put themselves on the line to protect the land and water. The Greens NSW mining spokesperson Jeremy Buckingham today announced the Greens policy to use the existing Rural Lands State Environmental Planning Policy (SEPP) to permanently protect the Liverpool Plains and other key agricultural areas from mining and gas extraction, criticising both the current Coalition government and the former Labor government for not using the Rural Lands SEPP despite its existence in the Environmental Planning and Assessment Act. “The Greens believe it is critical to protect the highly productive soils of the Liverpool Plains and other areas, and will push to have productive agricultural lands protected through the existing Rural Lands SEPP,” said Greens MP Jeremy Buckingham. “It is damning that both the Nationals and the Labor have ignored the Rural Lands SEPP when it could protect key agricultural lands. Kevin Anderson should explain to the electorate exactly why it has been dormant? “There has been so much hand-wringing and dithering on land use conflict when certainty could be provided by using the Rural Lands SEPP. It could be done in a week by a ministerial decision that is then published in the weekly Government Gazette. “The government’s Strategic Regional Land Use policy is an obvious failure now the Shenhua Watermark mine has been approved. BHP’s Caroona mine continues to progress through the planning system. “Both the Planning Assessment Commission and the NSW Chief Scientist have recommended the government act to rule out mining in certain areas. The Rural Lands SEPP is a mechanism already in place that would allow this protection to be granted tomorrow. “Biophysical Strategic Agricultural Land and Critical Industry Clusters have already been mapped. While the Greens believe more land should have been included in these areas, it provides a basis to start scheduling lands for protection under the Rural Land SEPP,” he said.. The Rural Lands State Environmental Planning Policy 2008 (SEPP) has existed under the Environmental Planning and Protection Act 1979 Act, since 2008. Part 4 of the Rural Lands SEPP’s enables the government to identify and protect ‘State significant agricultural land’. The SEPP could be used to prohibit mining within a defined geographic area on grounds that the land is agriculturally valuable. Despite the existence of the Rural Lands SEPP since 2008, neither the former Labor government nor the current Coalition government have used it to protect agricultural land. The Greens believe the NSW government should, as a matter of priority, use the Rural Lands SEPP and declare certain geographic areas of NSW off-limits to mining and coal seam gas. This would mean identifying and listing certain geographical areas in Schedule 2 of the SEPP. This could be done quickly. It involves the Minister for Planning signing an order which would then be published in the weekly Government Gazette. The Greens believe the first area to be put in the schedule should be the Liverpool Plains. The highly productive black soils of the Liverpool Plains, combined with the excellent water resources and climate of the area, make it Australia’s best agricultural area. Protecting this area is not only sensible from an economic perspective, but also strategic in a world where food security is becoming more important. The Greens value the Liverpool Plains as a key agricultural area and believe it should be permanently protected from mining and gas extraction. Land use conflict between mining, gas extraction and agriculture has been a major issue in NSW over the last term of government. The Liverpool Plains has been at the centre of this conflict with two proposals for major coal mines (BHP’s Caroona project and Shenhua’s Watermark project) as well as active Petroleum Exploration Licences over the area. The current government’s Strategic Regional Land Use Policy is widely acknowledged to have failed, and according to the Department of Planning, is to be replaced by ‘Regional Growth Plans’. The policy is flawed because the government failed to declare areas off-limits, and failed to put a gate in their gateway process, meaning that mining could still occur on even the best agricultural land. The approval of the Shenhua Watermark mine highlights the failure of this policy. The Strategic Regional Land Use Plan did produce maps of Biophysical Strategic Agricultural Land as well as identify Critical Industry Clusters. While the Greens believe more land should have been included in these areas, it provides a basis to start scheduling lands for protection under the Rural Land SEPP. 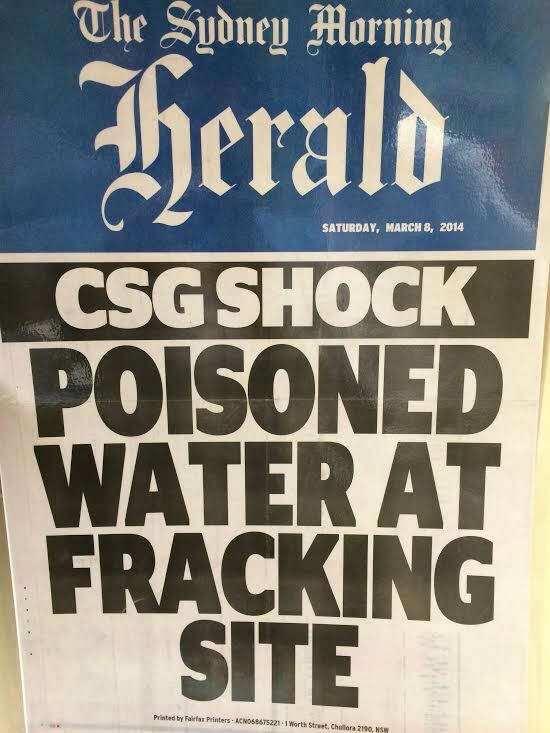 The NSW Chief Scientist’s Review of Coal Seam Gas recommended that the government provide certainty by identifying areas where gas extraction can and can not occur. Scheduling the Liverpool Plains would provide certainty for farmers and the community, and put an end to the land use conflict that has gone on for far too long. The legal framework is available under the Rural Lands SEPP and the Greens believe it is time it was used.